The World is Open for Your Business. Proven Trade Expertise. Our global network of trade professionals is located throughout the United States and in U.S. Embassies and Consulates in nearly 80 countries. Whether you’re looking to make your first export sale or expand to additional international markets, we offer the trade counseling, market intelligence, business matchmaking, and commercial diplomacy you need to connect with lucrative business opportunities. In addition, we will help you to develop trade finance and insurance strategies that align with your particular business objectives and help you complete your export transaction. Following is a list of our general assistance areas. 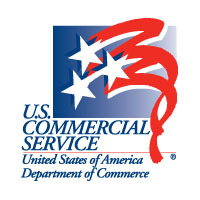 Our trade professionals will work with you to identify and tailor the right mix of U.S. Commercial Service capabilities to achieve your exporting goals. Please note, availability of some services may vary based on international market conditions and/or staffing. Contact your local U.S. Commercial Service trade professional or call 800-USA-TRADE for details. Create a comprehensive international business plan for entry or expansion into targeted markets. Obtain support from our Advocacy Center if your company’s exports or foreign bids are adversely affected by a trade barrier or by market access issues. Formulate an export finance strategy leveraging loan programs provided by the Export-Import Bank of America, the Small Business Administration, and other trade finance organizations to reduce risk and enable your company to offer competitive terms of sale. Get guidance on pricing your products and services to ensure competitiveness in your target markets while maximizing your profits. Market your firm directly to local companies. Determine the marketability of your product or service. Meet one-on-one with pre-screened buyers, sales representatives, and business partners through our Gold Key Service. Participate in official business development missions led by senior U.S. government. Meet with agents, distributors, government and industry officials, prospective customers, and U.S. Embassy officials. Exhibit in the U.S. Pavilion at our Certified Trade Fairs. Let us distribute your marketing literature at international trade shows. Feature your company on our local-language Web sites. Get accurate and detailed information—at no cost—from more than 100,000 country and industry market reports, written by our in-country trade professionals. Receive updates on new regulations, business trends, and government-financed projects. Learn about potential partners from our trade professionals working in the target markets. Obtain country-specific tariff and trade agreement information.